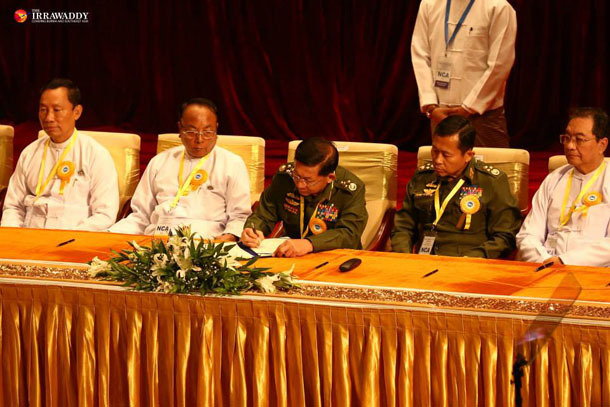 A “nationwide” ceasefire agreement between the government and eight of Burma’s armed rebel groups is signed, the culmination of more than two years of negotiations. 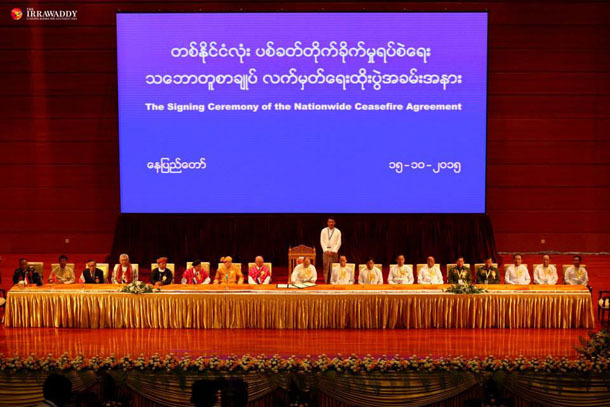 NAYPYIDAW — A long-awaited “nationwide” ceasefire agreement between the government and eight of Burma’s armed rebel groups was signed here on Thursday, with signatories hopeful that the pact will go some way toward ending decades of civil war in the country. 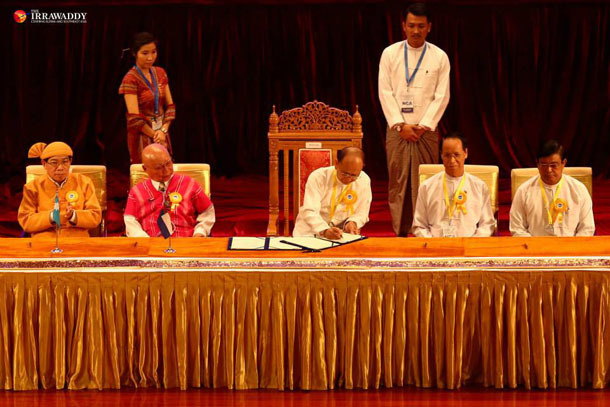 The event marked the culmination of more than two years of negotiations between the government and more than a dozen ethnic armed groups, with President Thein Sein, Burma Army commander-in-chief Snr-Gen Min Aung Hlaing, parliamentary leaders and the eight non-state armed groups all signing onto the accord. 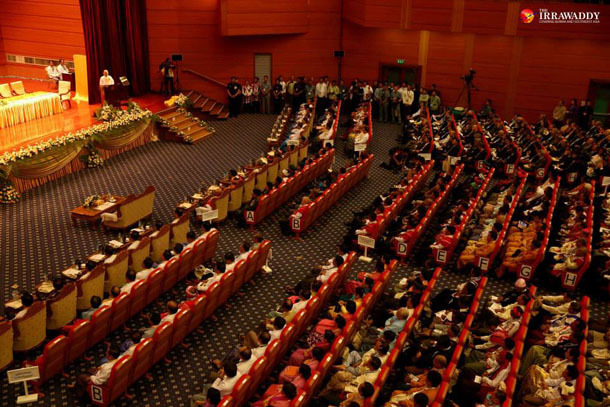 Six international and 20 domestic witnesses were also on hand for a ceremony attended by about 1,000 people at the Myanmar Convention Center in the capital Naypyidaw. The signing was welcomed by both international and domestic audiences, despite it falling short of including the 15 armed groups that the government had originally hoped would ink the pact. 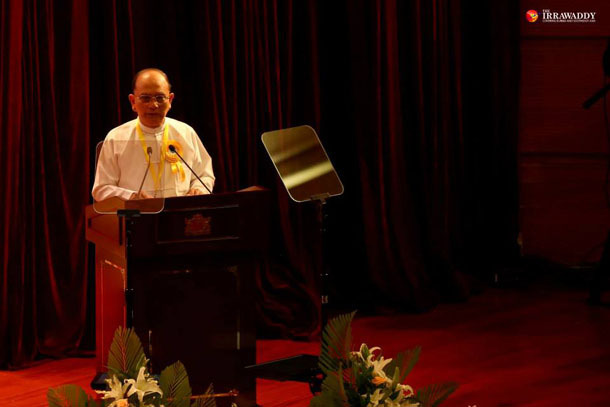 “The ceasefire is the beginning of the peace process, and we have to work forward to realize the peace,” said Thein Sein in an opening speech before the signing ceremony. The weeks leading up to Thursday’s signing have not brought a cessation of hostilities between the Burma Army and ethnic armed groups, with rebel armies that earlier this month indicated they would not sign onto the accord typically the target of reported government offensives. 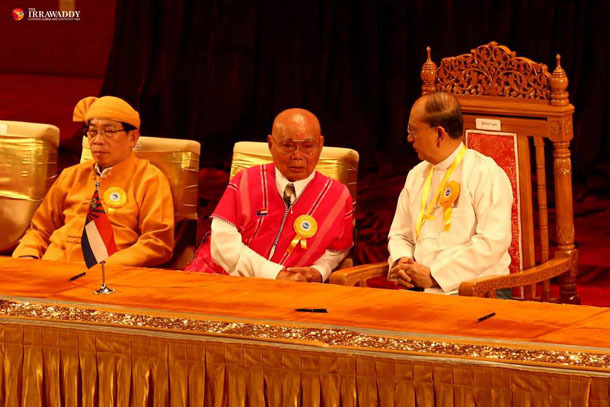 Burma’s main opposition party, the National League for Democracy (NLD), declined to sign as a witness despite representative Win Htein joining Thursday’s ceremony. “Although others may be saying that the NCA lacks all-inclusivity, it should be acknowledged that this is just the beginning,” said the former lieutenant-general, who was involved in the drafting of the agreement. In a late-night press release from Washington, US State Department spokesman John Kirby commended all sides on Thursday’s signing. Though several major ethnic armies have abstained from the initial signing this week, Kirby said those joining Thursday’s ceremony were taking a critical first step in a long process of building a sustainable and just peace. “We recognize that some groups were not able to sign today, and we understand and respect their concerns. We welcome their commitment to continue discussions within their communities and with the government about the necessary conditions for signing at a future date, and we urge the government to engage constructively in a dialogue with these groups to pursue a more inclusive peace,” Kirby said. Most ethnic armed organizations that did not sign onto the accord this week have cited the government’s refusal to include a handful of rebel groups currently engaged in conflict with the Burma Army. For its part, the government has said that it might be open to allowing some of those groups to sign down the road, though the terms of their prospective inclusion remain unclear. 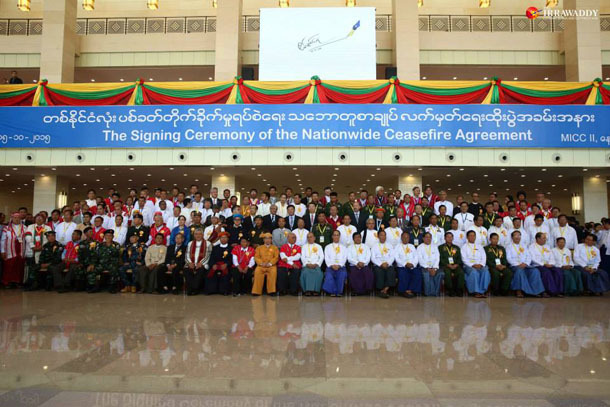 Some of the country’s largest ethnic armed groups, including the United Wa State Army (UWSA), Kachin Independence Army (KIA) and Shan State Army-North (SSA-N), did not participate in Thursday’s signing. The government has said the seven groups it recognizes as eligible that refused to initially sign can join the agreement at a later date as they see fit.